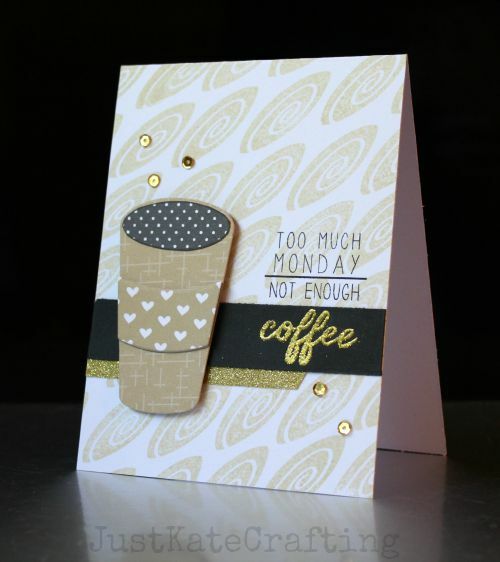 Make The Day Special Stamp Store Blog: Not enough coffee? Even though its Wednesday it still feels like a Monday to me ...i guess that's because of the dark mornings. So this sentiment from Reverse confetti seemed to fit my card perfectly. I have used three sets from reverse confetti's last release the coffee cups and matching dies and the coordinating sentiment set. I stamped the coffee swirl directly onto my card base in antique linen distress ink. 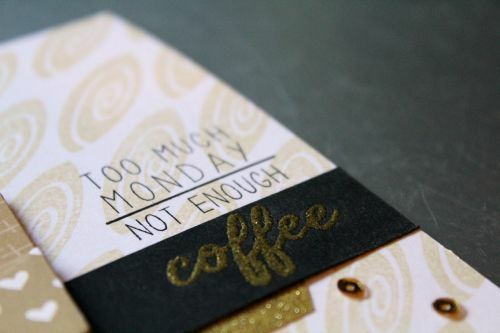 I then added a strip of gold glitter card and the black card with the heat embossed "coffee". The coffee cup has quiet a few layers i wanted to give it some dimension so i used the paper from Avery Elle and the coffee part is lets polka in the dark from lawn fawn. The papers are adhered to some kraft card to bulk it out. And to finish a few gold sequins. Just click the images below to go straight to them.